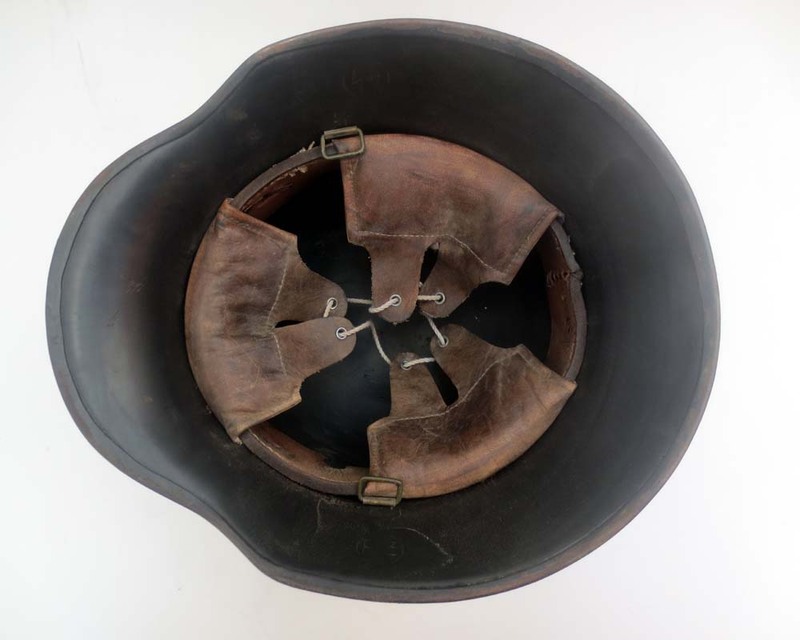 This is a rare SS RZM M18 helmet. 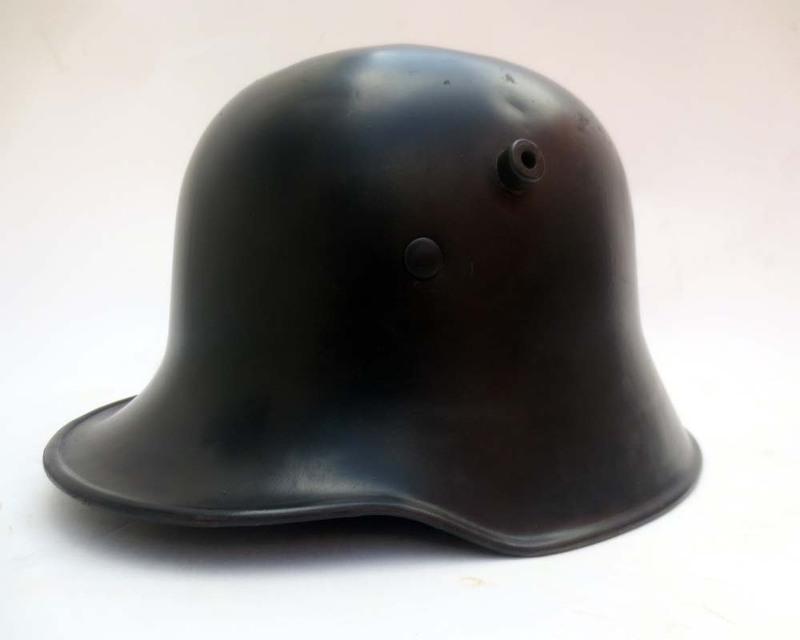 A small number of these helmets were produced in the 1930s for the SS. 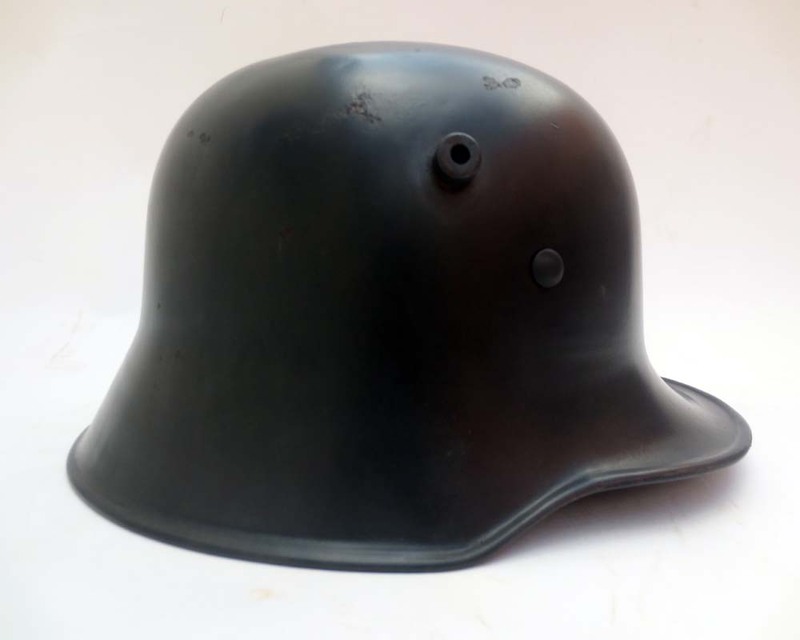 The helemt has been painted with a dark blue-black color with a parade gloss finish, unique to this model of helmet.